A Wisdom Walk is a self-paced journey of personal discovery. A Wisdom Walk is an opportunity to move your body; it is a lovely way to breathe, to pray and to listen. Wisdom Walk cards enhance your walking experience by expanding your awareness and sharpening your focus. You'll notice that the effects of an intentional Wisdom Walk reach into many areas of your life, shifting your perception and, therefore, your experience of life. Wisdom Walk cards can be used on your own or with a group. The variety of ways the cards can be used is continually expanding. You can use Wisdom Walk cards many ways to discover and explore personal truth. Each deck of Wisdom Walk cards contains 52 different cards, thirteen for each theme. 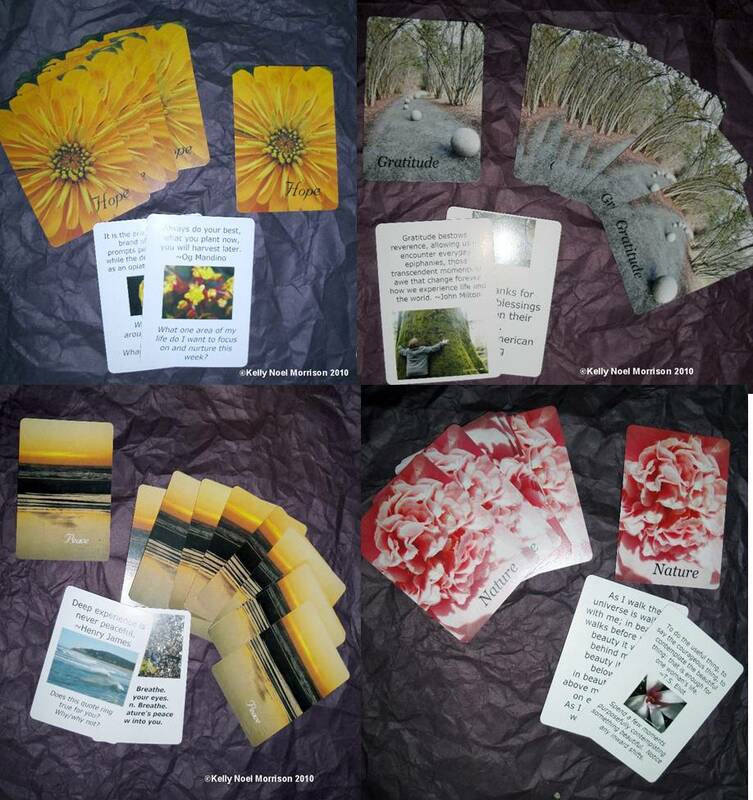 Each card features original photography and a different quote, poem, prayer or question. Wisdom Walk cards are the same finish, size and weight of playing cards. Limited Time Offer: $25 includes Priority Mail shipping to all U.S. addresses. Kelly Noel Morrison is a Creative Life Coach and Retreat Coach. Kelly is passionate about helping you cultivate life¡¦s ah-ha moments and life¡¦s ha-ha moments. Time with Kelly is where personal discovery and creativity meet to play.